Just clip on and go to the next tire while the pressure drops automatically. 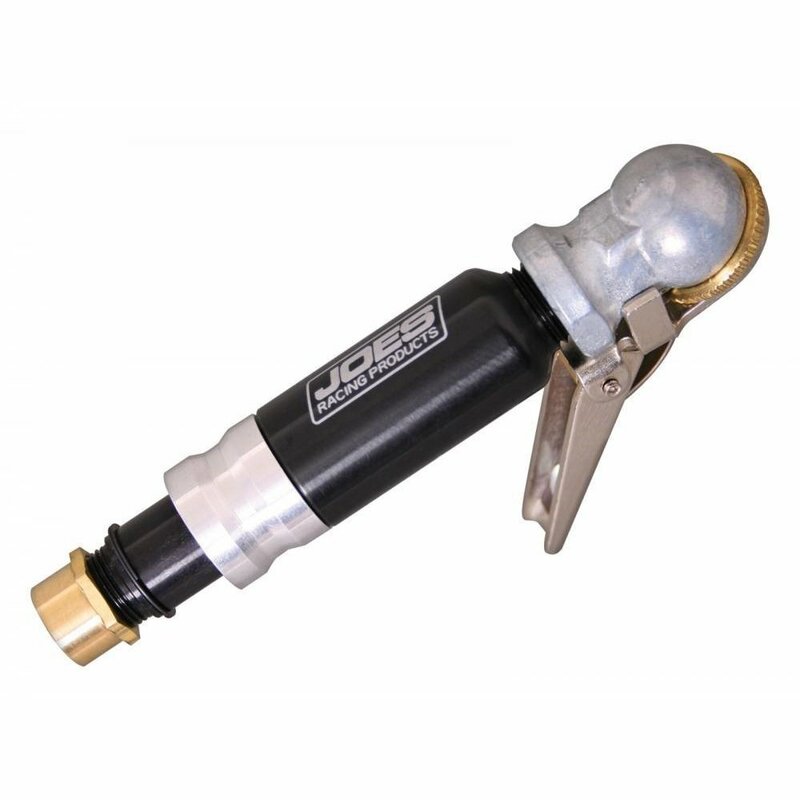 The JOES Tire Purging & Set tool come with 3 springs allowing you to set the bleed valve for nearly any type of racing. The light spring is factory installed and has a range of 2-7 PSI. The medium spring has a range of 14-29PSI and the heavy spring ranges from 30 to 68 PSI. The JOES Tire Purging & Set tool has been track tested by top Cup teams. 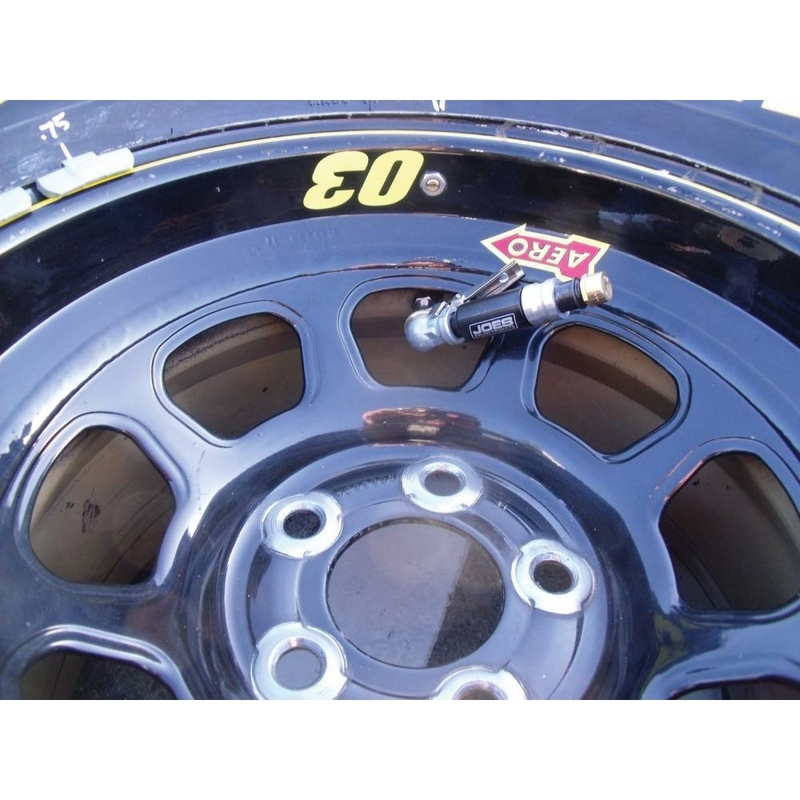 These top teams clip on several JOES Purging & Set tools allowing their tire specialist to purge and adjust multiple sets of tires simultaneously. The days of standing around waiting for air to drain are over. Just clip on the JOES Tire Purging & Set tool and go. Another simple, fast and easy tool from the JOES team!